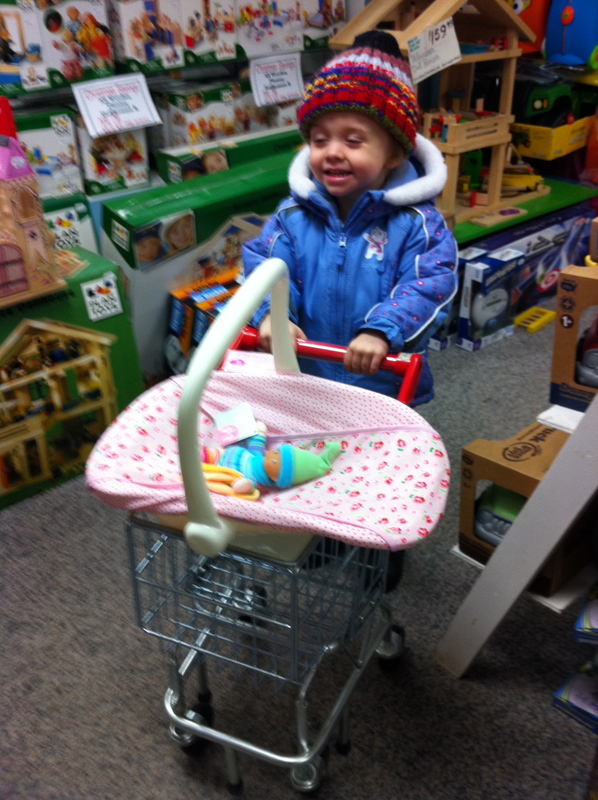 A few weeks ago I went on a quick shopping spree with my friend Calleigh. She is 2.5 years old, so I knew I had to create an experience for her, that would make shopping fun for the both of us. Our first stop was to visit Sarah at Something Irresistible, where I typically don’t leave without a new dress or shirt! On this day, we left with chocolate kisses in our pockets! Our next stop was to visit Kulpeppers. 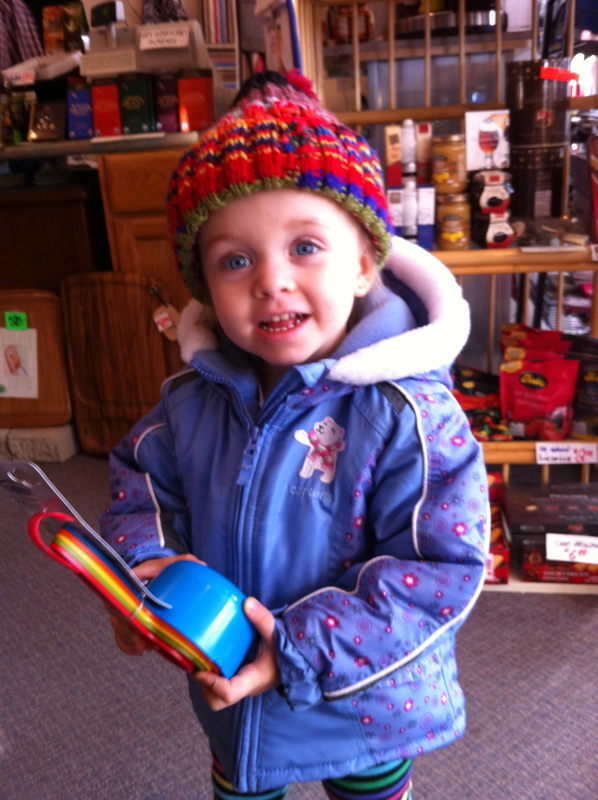 Right away Calleigh picked out some very colourful measuring cups, it was like she knew I needed new ones! All of the interesting items in the store made for a great trip. We picked out some awesome organic crackers (which I ended up leaving for Calleigh and her mom) and a pair of non-stick tongs. Our next stop was Fincher’s and all of the wonderful toys and books! As soon as we walked to the basement Calleigh grabbed the mini grocery cart, a baby doll and baby carrier. She proceeded to walk around the store and rock the baby to sleep. I highly recommend visiting Fincher’s as the staff was great and I was able to pick up a few items without having a bored kid with me. Our final stop was to get lunch. 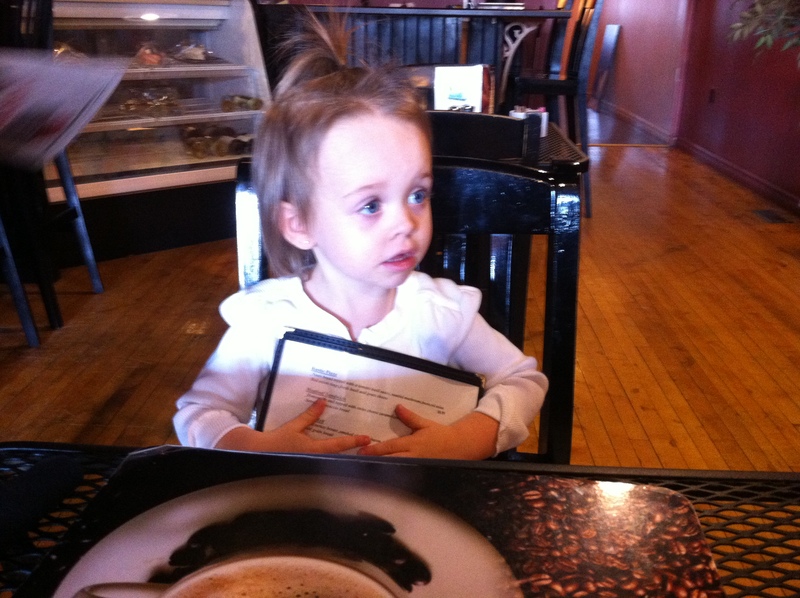 We stopped in to J’s Bistro for a nice chicken salad. Calleigh was only interested in the croustini that came with the dish, so I quickly ate knowing that Calleigh would still need to eat something when we got to her house. All in all this was a great morning of shopping and we made some great purchases.